Making the Most Out of a Road Trip | Most of us do what we can to take a vacation that is affordable and still a lot of fun. Often this translates into a road trip. 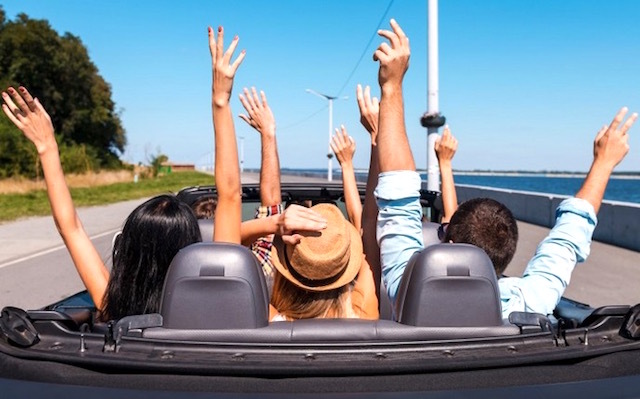 While some people think that a road trip can cut into a vacation, it can really add to the enjoyment of your trip. On the way to your destination, you can express your excitement and talk about what you look forward to doing the most. On the way back, you can talk about all of the best parts of your trip and what you want to do the next time you return to your favorite vacation spot. Here are a few tips on making that road trip memorable. Routine checkups with your insurance are always recommended. Doing so before a trip is especially important. Reading up on your liability insurance on the car is necessary so that you know whether or not you are covered for whatever happens. Does this coverage cover anything out of state? Additionally, you want to know if you have roadside assistance, and what that assistance looks like. Can you get a tire changed? Fuel, in case you miss that last gas station? What if you need a tow; how far will they take you? Lastly, are all the potential drivers covered, if the owner of the car is not driving when an accident occurs? Knowing the extent of your coverage, and if you should increase it, will keep any unnecessary worries at bay and help you should something happen. If you are looking for an easy way to save money, look no further than how you eat while on the road. Depending on how long you will be in the car, and how much room you have, packing snack foods and sandwiches for the trip are an ideal way to feed the family and keep moving. However, this isn’t always an ideal way to handle it and stopping for a break to stretch the legs and eat something someone else made becomes attractive. Unfortunately, eating at some restaurants can get expensive fast. Look no further than to the truck drivers. Stopping at a truck stop may sound a little less than desirable but many of these places are a fantastic way to eat affordably and stretch the legs. Most meals are less than what you will pay at any other roadside diner and the portions much larger. If you stop at a TA Travel Center, they also have fantastic shopping to find new books, CDs, and even movies for the portable DVD player to purchase and employ on your trip. It’s like a little shopping trip with kitschy magnets to take home so you won’t forget your trip. We all dream of those trips in which mom, dad, and kids are happily singing folk songs and smiling from ear to ear on a sunny day. The reality is, the kids are probably playing the “don’t breathe on me” game while dad is yelling at the GPS that “no, we can’t turn here because there is no road” and Mom just wishes she had opted for a spa day all by herself. If your road trips just don’t turn out like you imagine, it’s time to change how you do them. Bring along items that will keep everyone happy and content while on the road. Books, iPods, portable DVD players with headphones, and gaming devices are a sure way to pass the time and minimize family drama. Car games can be fun so try those out too. Just cut it short when Punch Buggy turns into bruising.